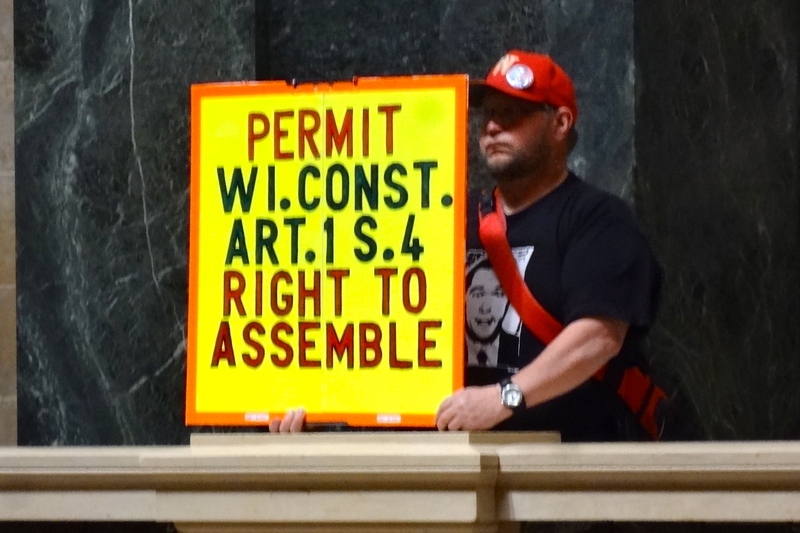 I am writing in opposition to the current DOA Capitol access emergency rule and proposed permanent amendment of Chapter Adm 2 of the WI Administrative Code, aired at the public hearing July 12, 2013 in response to the recent judicial restraining order. Others have spoken eloquently on the absence of an ’emergency’ in any sense of the term, of the intent of the framers of the Wisconsin constitution, the purpose for administrative rules for the operation of the Capitol building and of the relation of the architecture of the Capitol building to its intended function as a public forum. I will not repeat their comments, but I agree with their reading of the law and legislative intent. Like many of the speakers, I participate in the Singalong. I do so because it is the most effective way for me to communicate my dismay at the policies of the current administration. Our presence, more than the quality or content of our songs, signifies the deep discontent with government actions felt by many Wisconsinites. Many who would would join in protest cannot be present in Madison during weekdays. Most Wisconsin citizens have no voice in a broken political system in which money provides a loudspeaker. We singers give of our time and money to sing at the people’s forum on the behalf of those who cannot be present. It is not just a pleasure to sing – it’s our duty as citizens. As an attorney, I have been dismayed by the Capitol Police’ actions since the arrival of Chief Erwin. Watching events unfold, I have not been able to determine what factors, other than targeting of ‘ring-leaders,’ have been used to determine which singers will be ticketed or harassed. I have no idea what I might do to attract their attention and result in a citation under this sloppily worded rule that allows unchecked latitude for enforcement. With the announcement that the Capitol Police will enforce the so-called “20 participant rule,'” I am even more uncertain of the behaviors that will result in citations. 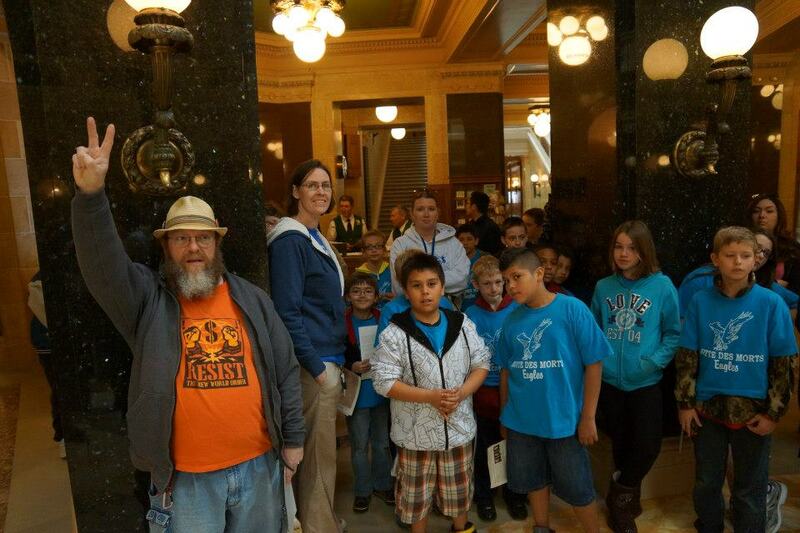 A group of school children visiting the capitol. For example, if 17 people are singing, and a group of 5 visitors from New York join in, will anyone be cited, and if so, who? Will the entire group, which has no control over participation by the many visitors to the Capitol, be cited? Or will the last to join in singing who bring the number above 20 be cited? Who is counting the coming and going of participants- uniformed peace officers? Is this really a rational use of their taxpayer-funded time? The Singalong is an event, not a group, and the Capitol is open to all, especially during the noon hour, when official business is suspended. The presence of multiple enforcement officers, whose behavior is clearly intended to intimidate, is a further blot on the State. Seemingly haphazard arrests of singers by uniformed officers during noon hours at a state capitol building in front of visitors from around the country and the world is not a positive public relations move for an administration working hard to ‘sell’ the state. My heart breaks for my wonderful home state. I applaud each and every one of you who sings in the capitol. 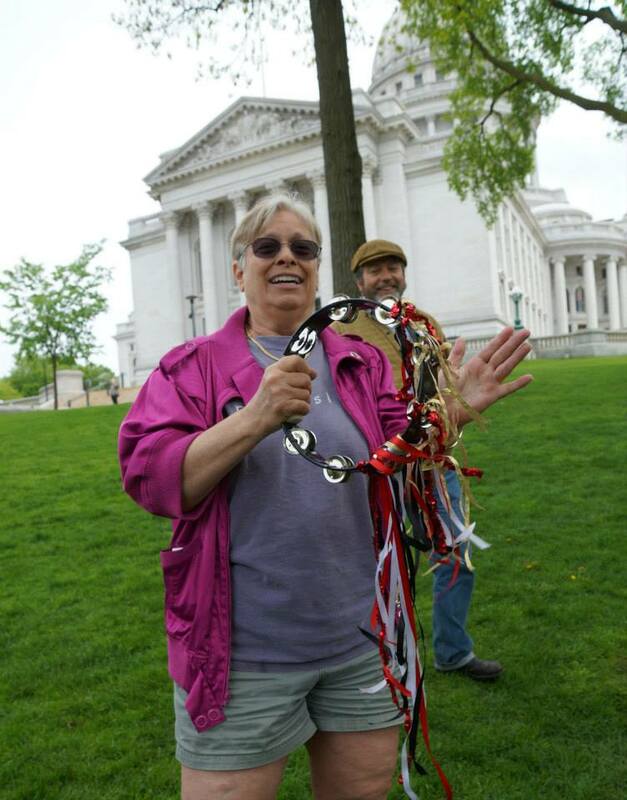 The building belongs to all of us, the taxpayers of Wisconsin. I am grateful you continue to demand that be acknowledged. Thank you.